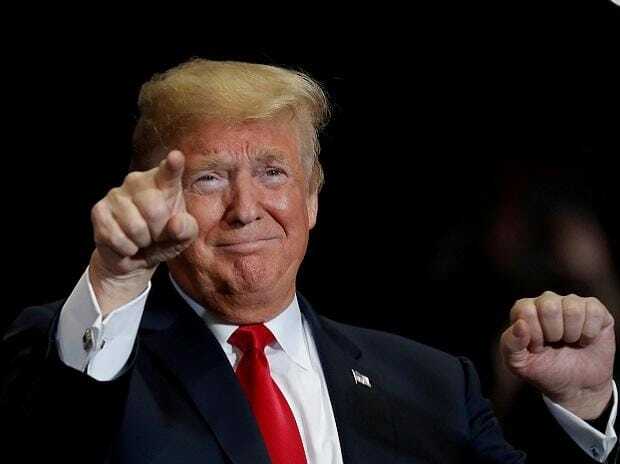 US President Donald Trump said on Tuesday that trade talks with China were going well and suggested he was open to pushing off the deadline to complete negotiations, saying March 1 was not a "magical" date. Tariffs on $200 billion worth of Chinese imports are scheduled to rise to 25 percent from 10 percent by March 1 if the world's two largest economies do not settle their trade dispute, but Trump has suggested several times that he would be open to postponing the deadline. "They are very complex talks. They're going very well," Trump told reporters in the Oval Office. "I can't tell you exactly about timing, but the date is not a magical date. A lot of things can happen." Trump said the real question would be whether the United States would raise the tariffs as planned. "I know that China would like not for that to happen, so I think they're trying to move fast so that doesn't happen." On Tuesday, the United States and China launched a new round of talks in Washington, with follow-up sessions at a higher level scheduled for later in the week. The negotiations followed a week of talks in Beijing that ended last week without a deal but which officials said had yielded progress on some key issues. Bloomberg reported on Tuesday that the United States as part of a trade deal was seeking to secure a pledge from China that it will not devalue its yuan currency. Officials from the two countries, which resumed talks on Tuesday in Washington, are discussing how to address currency policy in a "Memorandum of Understanding" that would form the basis of a US-China trade deal, the news agency reported, citing unnamed people involved in and briefed on the discussions. US Treasury Secretary Steven Mnuchin had told Reuters last October that currency issues must be part of US-China trade negotiations and that Chinese officials told him that further depreciation of the yuan was not in their interests. The Bloomberg report said the US request for a pledge to keep the yuan's value stable was aimed at neutralizing any effort by Beijing to devalue its currency to counter American tariffs. Spokesmen for the US Trade Representative's office, which is leading the talks, and the US Treasury, which leads currency policy, could not immediately be reached for comment. Two days of negotiations between deputy-level officials began on Tuesday, led by Deputy US Trade Representative Jeffrey Gerrish on the US side. Higher-level talks involving Mnuchin and led by USTR Robert Lighthizer, are expected to begin on Thursday. This week's talks were aimed at "achieving needed structural changes in China that affect trade between the United States and China. The two sides will also discuss China's pledge to purchase a substantial amount of goods and services from the United States," the White House said in a statement issued late on Monday. Trump, who is eager for a deal and has praised his counterpart, Chinese President Xi Jinping, while also insisting on structural changes to China's practices related to intellectual property and forced technology transfers by companies doing business there, emphasized that progress was being made. "I can only say that the talks with China on trade have gone very, very well," he said.